Ten months after four DuPont workers died from a toxic gas release at the company's La Porte plant, federal investigators presented a scathing assessment of the company's performance, and said if the unit where the accident occurred were it to reopen today it would continue to present dangers. 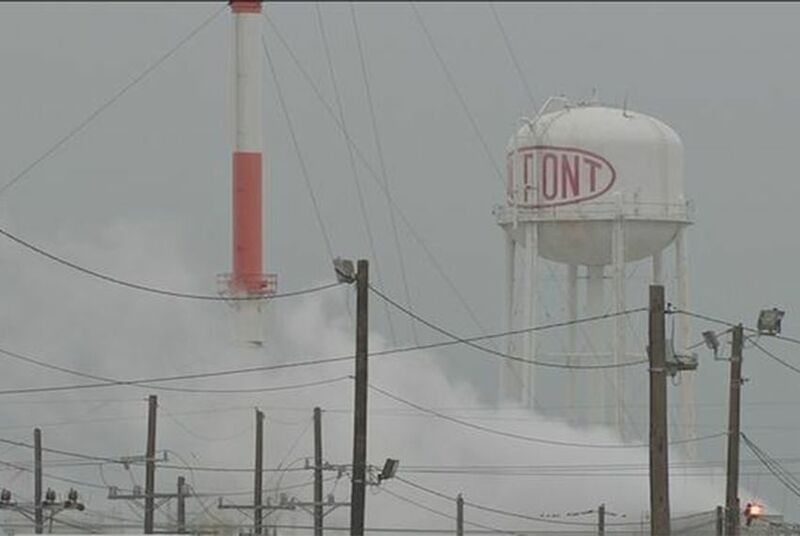 HOUSTON — Ten months after four DuPont workers died from a toxic gas release at the company's La Porte plant, federal investigators presented their most comprehensive assessment yet of the chemical manufacturing giant’s facility near the Texas coast. It was a scathing assessment, particularly of DuPont’s insecticide manufacturing unit where the accident occurred. Facing about 150 people in a downtown Houston hotel, the federal Chemical and Hazard Investigation Board described a unit that routinely endangered workers and the surrounding public until it shut down after the November 2014 tragedy. Were it to reopen today, the board said, it would continue to present dangers. On Nov. 15 2014, veteran operator Crystal Rae Wise opened a faulty valve on a pipe carrying methyl mercaptan, a chemical used to manufacture DuPont’s popular insecticide called Lannate. More than 20,000 pounds of the foul-smelling gas — deadly in even small doses — spewed out. Wise was found dead hours later, and three men who rushed in to help her — Wade Baker and brothers Gilbert and Robert Tisnado — were also killed. In a nearly two-hour presentation, investigators said problems in DuPont’s insecticide unit went far beyond lack of worker education, missing details in safety procedures and temporary equipment problems — allegations that the federal Occupational Safety and Health administration focused on in a separate probe. In fact, the chemical safety investigators said, the fundamental design of the building where Lannate was produced is faulty. For instance, said board investigator and attorney Tamara Qureshi, stairwells in the unit were the main pathways for workers to move between floors, but were originally designed only as fire escapes and don’t have ventilation. “The stairways were not a safe haven for workers from toxic gases,” Qureshi said. Wise was found dead in one of those stairwells. Ventilation has been a focus of investigators from OSHA and the CSB since the accident, because fans on the third floor where the toxic leak occurred weren’t working. Plant operators had put in an “urgent” work order to have one fixed less than a month before the 2014 tragedy, investigators said. But it turns out that even if the fans had been working, the overall ventilation system had so many problems that the leak still would have caused a “lethal atmosphere,” Qureshi said. The same holds true for the plant's detector system for methyl mercaptan, the deadly chemical that leaked and caused the deaths. Investigators said there were no methyl mercaptan detectors on the third floor of the Lannate unit, where Wise first opened a valve and the chemical spewed out. Even if there had been, DuPont’s alarms systems were only set to go off if the concentration of the chemical reached 25 parts per million. That’s higher than federal regulators say it should be. Levels of just 10 parts per million should not be allowed even for an instant, according to OSHA, and the agency recognizes that standard is outdated and should be more like 0.5 parts per million. On top of that, even if DuPont’s detectors did find problematic levels of methyl mercaptan in its insecticide unit, no alarm would go off inside the unit, or outside, either. The alarm is in a control room in a different building. “A worker could enter the building without knowing that a gas leak has occurred and then become incapacitated before being able to react,” Qureshi said. That is what happened to the three DuPont workers who rushed in to help Wise: Baker and the Tisnado brothers. Investigators said the plant's dangers extended beyond the people working there. The surrounding public could be exposed to hazardous levels of methyl mercaptan, too. They showed pictures of methyl mercaptan storage tanks that lacked the proper insulation or had improper relief valve systems. As a result of those issues, “workers and the public have been exposed to unacceptable risks,” said board investigator Steve Cutchen. DuPont had been working on a five-year plan to evaluate its valves, which was due this year. But at the moment it’s only 35 percent complete, and even then, “the scope of DuPont’s program is not sufficient” to address all of the safety concerns, Qureshi pointed out. There is little the board can do to force DuPont to correct these problems. Unlike OSHA, the board can’t levy fines or invoke any kind of formal enforcement. All it can do is vote on formal recommendations for reforms at the plant, which the CSB’s members unanimously agreed to do Wednesday night. In an emailed statement, Dupont said the company “respectfully disagrees with aspects of the report and some of CSB’s findings,” but that it is cooperating with the agency and is working on its recommendations. “We value the CSB’s perspective, and we are taking their recommendations seriously. The La Porte plant is shut down and will remain so until DuPont has executed a comprehensive and integrated plan to safely resume operation,” said James O’Connor, the La Porte plant manager, in the statement. Even while the unit has been shut down, investigators said, they have seen releases of toxic chemicals. And just days before the deadly November 2014 accident, they found that methyl mercaptan detectors had gone off — but the incidents were never reported or investigated. “How many lives do we have to lose, or injuries do we have to suffer, because of negligence?” said Betty LeBlanc, Wise's mother, reacting to the findings during the public comment period of the meeting. LeBlanc said she was originally thrilled when her daughter got the job at the DuPont plant. “Never dreamed this would happen,” she said.